Hiya guys. Another post today? Yup, it's going to be a pretty jam-packed two weeks at we close out the month. Don't expect my usual day or two off this week. I'm actually going to be putting up a poll at the end of the month so I can get more feedback from you guys about what you want to see and when you want to see it. If you have any ideas already, please let me down in the comments. I love hearing back from my readers. 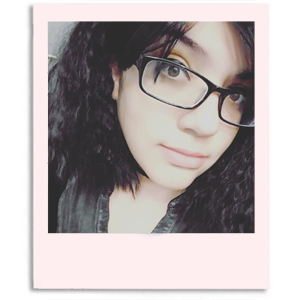 Hope you guys don't get sick of me haha. Anyway, let's get to today's nail art shall we? It's that time again for the He Picks My Polish Challenge! This month I had to choose another male in my life to complete this challenge with me. For those who might not be aware, for this challenge you basically have a man in your life pick out three nail polish colors and you have to do a mani with them. Sounds simple enough, eh? As June and July will tell you, it's sometimes easier said than done. You can't have any influence over their decisions and you can't change up any of their selections. Since both my hubs and my best friend completed the challenge previously, I thought I should have someone different this month. So I chose... my dad. It's honestly not as bad as it probably sounds. I mean he obviously picked easy enough colors. In fact, he went one step further than my previous guys have in this challenge. He straight up told me what he wanted me to create. As soon as I asked him, he said "White, red, blue. Puerto rican flag, get to it." haha. 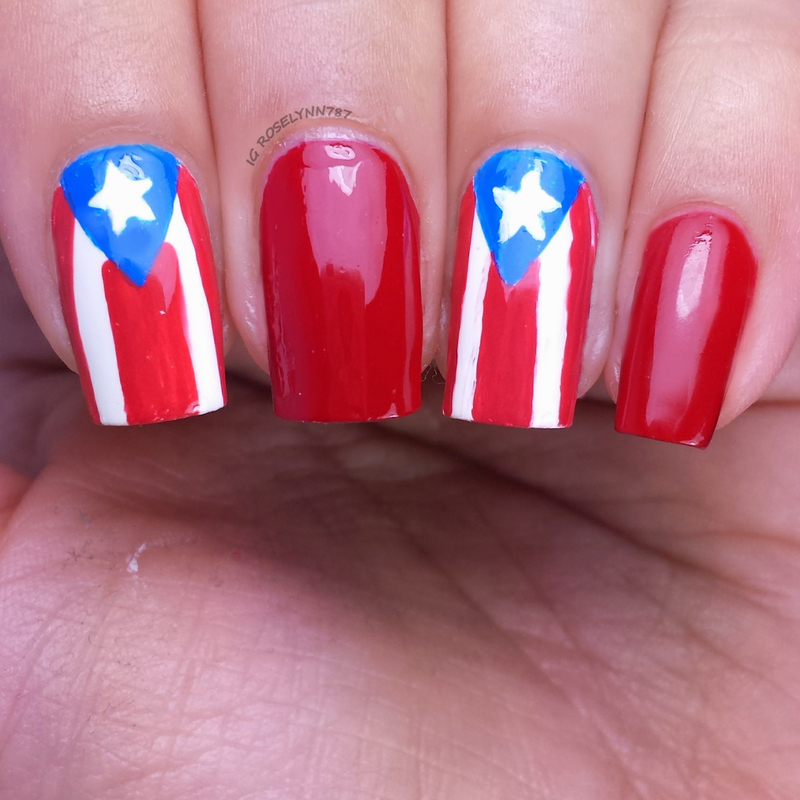 So in honor of my father, these are my Puerto Rican pride nails for the August edition of He Picks My Polish. 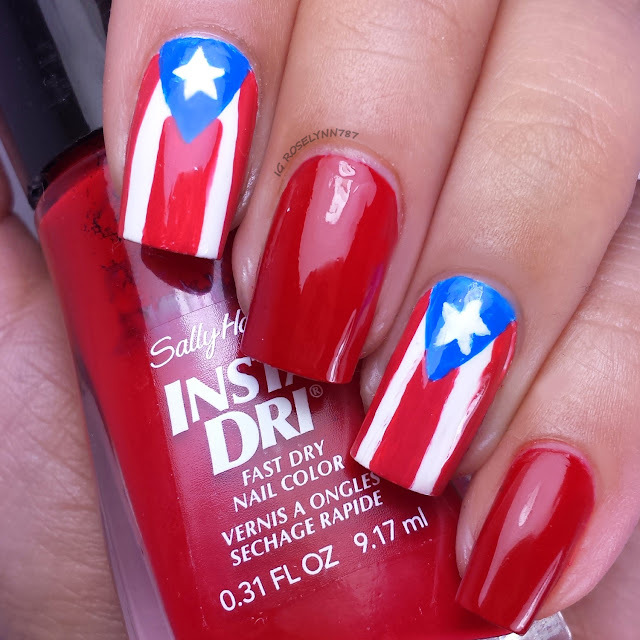 Polishes used in this challenge are Sally Hansen Insta-Dri Rapid Red, Sally Hansen Xtreme Wear White On, and Sally Hansen Xtreme Wear Royal Rage (mixed with some paint for a lighter hue). So what do you guys think? Best one so far? And who do I pick for next month: Austin (hubs), Adam (best friend), or my father again? Thank you so much :) I'm glad you love it. Thank you! I wish I could of worn it a couple of more days, definitely one of my faves.